Picking out the best bunny hutch or rabbit cages for your pet can be very exciting. They come in different sizes, designs as well as materials. From Flemish Giants to Netherland Dwarf to English Lops, you are sure to get the best bunny hutch available in the market these days. It is recommended that you find out first the type of rabbit you are going to adopt before making a purchase. 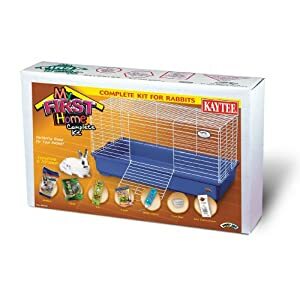 What makes the best bunny hutch or rabbit cages? Keep in mind that bunnies want to be litter trained; the best bunny hutch should have a solid floor which is easy to clean. 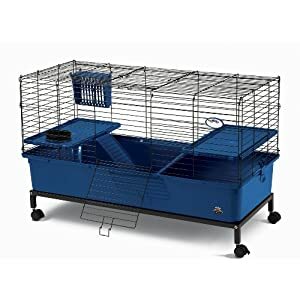 A lot of pens these days still have wire floors on pull-out pans for easy cleaning, but they can be difficult for your pet and can lead to hocks or sores, so it would be better if you get one that has no wire floors. Otherwise, you can just cover it with a piece of sisal mat, wood or grass. Furthermore, the best bunny hutch should have a door that is big enough to get through to your pet and its litter pan without difficulty. Side door is great as well because a top-opening coop will be a bit hard for your pet to get in and out. If you plan to keep the pet outside, then go for an outdoor pen as it provides a cool area all through the summer season and prevents your pet from getting cold during the cold months. It guards them from wild animals and drafts, yet offers them a lookout spot to catch sight of you. The best bunny hutch should be weatherproof to survive any type of climate and is easy to rinse. Some even have roof which opens for easy way in for your bunnies in the event that you got them out for a while. If your pet will mostly spend time in its pen, you should get the best bunny hutch that is very large in size and suitable at home. A rule of thumb is that bunny cages must be no less than four times the rabbits’ size. For little bunnies under 8 lbs. (Rex rabbits for instance), the hutch should be 24” x 36”, whereas for the bigger ones, it should be 30” x 36”. 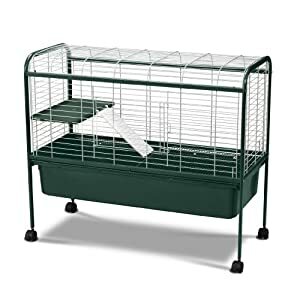 One of the popular rabbit cages is a 2-storey pen that has a ramp connecting the levels. Super Pet is the producer of the models presented in the images and a brand of outdoor and indoor rabbit cages that is worth checking out. They offer a wide array of durable and lovely-looking pens for your miniature rabbits.